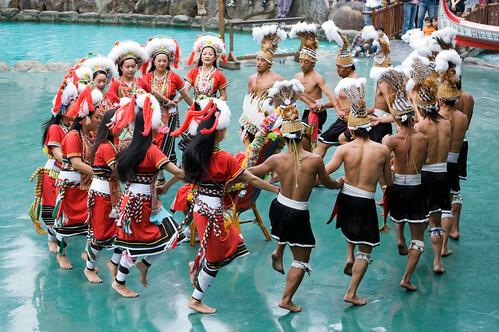 Last weekend I went with my wife and her family to the Formosan Aboriginal Culture Village [九族文化村] in Yuchih Township. 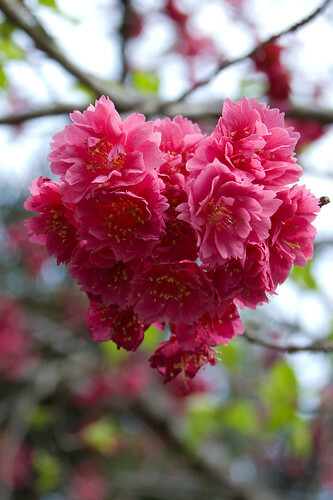 Right now is a great time to go because it’s the park’s Cherry Blossom Festival [九族櫻花祭]. 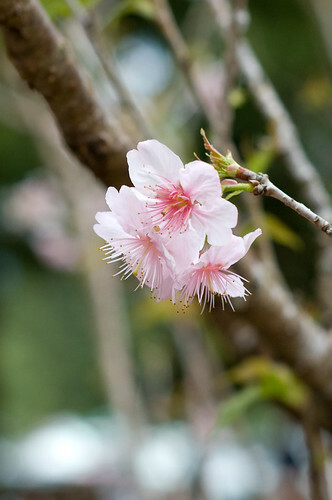 There are more than 3,000 Cherry Blossom trees in the park. We got to the park early to avoid traffic, but the park also looks spectacular for anyone making a trip during the evening [here’s a link to Flickr’s most interesting pictures from the event, you’ll see a few evening shots on the first page.]. 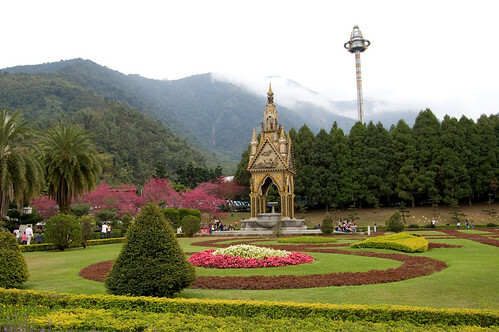 The park devotes sections to nine of Taiwan’s aboriginal tribes. 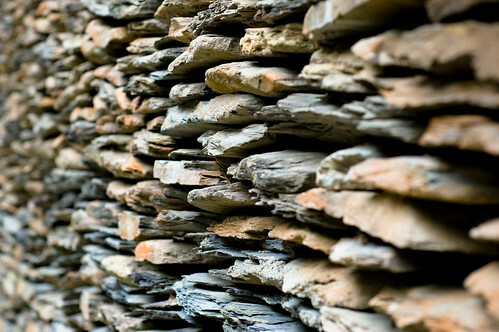 Each tribe’s area has replicas of traditional houses, handicrafts, boats, tools, ect. There are also a few live shows. I took the previous Daily Photo panorama at this pond. I hope to be a little better about posting Daily Photos next week. 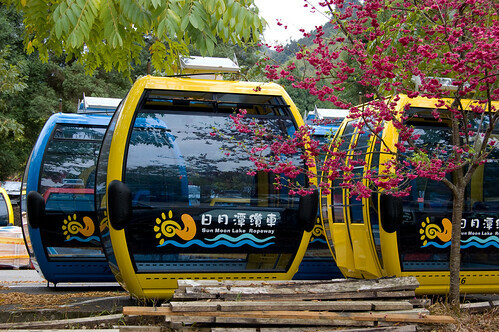 On the way back to the car we noticed a bunch of carriages sitting in the parking lot that will be used on the Sun Moon Lake Ropeway, which will link Sun Moon Lake and the Formosan Aboriginal Culture Village. 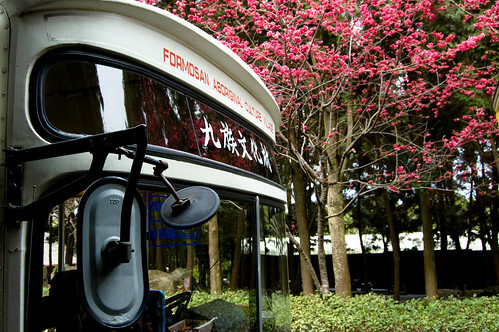 There’s information on the park’s English website on getting there by car. 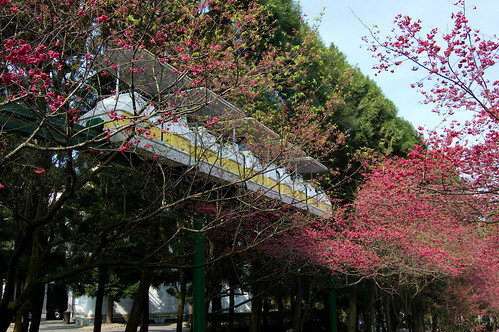 On the Chinese website there is a link for a deal for a bus ride from Taichung High Speed Rail Station to the park [bus ticket + admission for $750NT]. 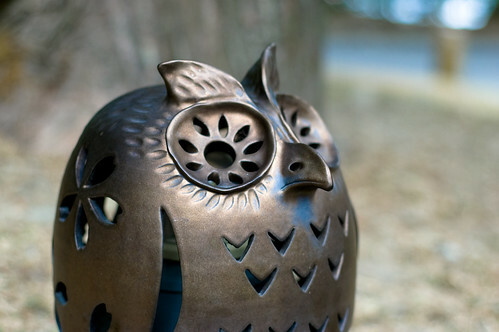 I have a few other pictures from the day on my Flickr. INCREDIBLE photo essay, Todd! Wow. You’ve really outdone yourself this time. great stuff! remember going there when i was a kid and haven’t gone back since. hope to bring my own kid there soon. Nice report Todd. I was supposed to go with some Taiwanese friends a couple of 10/10 days ago but they decided to work instead of going, so I still haven’t made it there. how long will the blossoms last? Craig – Thanks, I would suggest checking out the park during the festival. The rides aren’t that excited. MJ – The festival ends at the end of March. Thanks for the beautiful Photos. 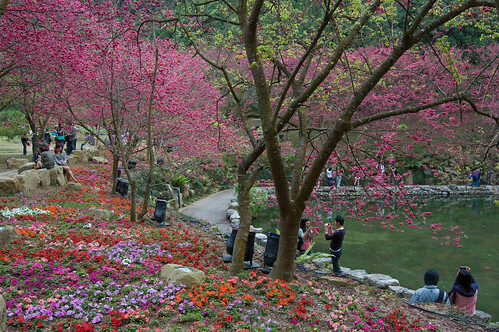 I hope to plan my next trip to Taiwan in cherry blossom season! Great time of the year to visit! Pour commencer , offrez-moi l’opportunité de vous démontrer mon appréciation pour chacune des superbes infos que j’ai trouvées sur cet impressionnant site. Je ne suis pas convaincue d’être au bon endroit mais je n’en ai pas trouvé de meilleur. Je proviens de Carbonear, ca . J’ai 33 années et j’élève quatre très gentils enfants qui sont tous âgés entre 3 ou 12 ans (1 est adopté). J’aime beaucoup les animaux et j’essaie de leur garantir les items qui leur rendent la vie plus diversifiée . Je vous remercie dès aujourd’hui pour toutes les très “à propos” délibérations à venir et je vous remercie surtout de votre compassion pour mon français moins qu’idéal : ma langue maternelle est l’arabe et j’essaie d’apprendre mais c’est très compliqué !